Welcome to Paradise at Bahama Bay Resort. 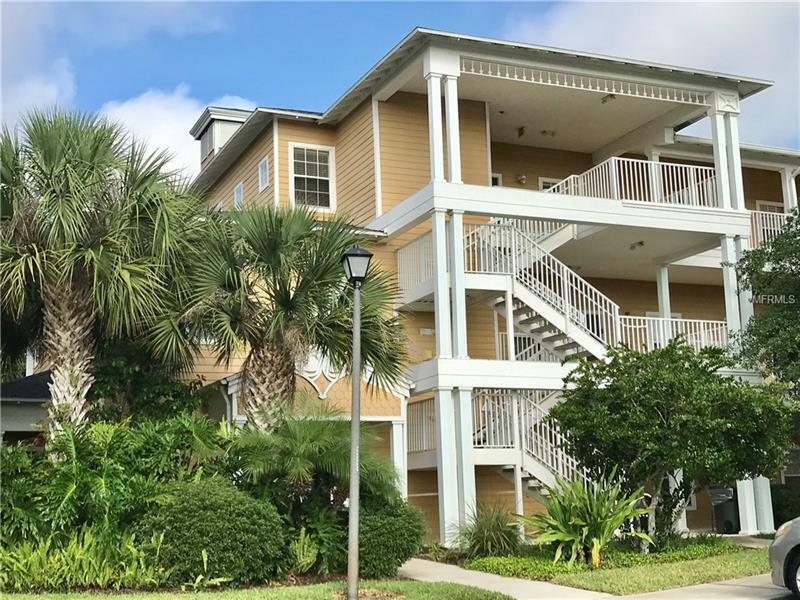 This end unit is on the Second Floor with an extended and larger screened in balcony with a view of one of the four community pools. It is a beautiful, two bedroom, two bath, Fully Furnished bright and airy with high ceilings. Upon entering there is a foyer and an entry hallway that has the laundry closet and the HVAC closet on the left. Make a right turn and the unit opens up to bedroom #2 and bath #2 on the left and the fully equipped kitchen with a breakfast bar on the right. Also on the left to the rear of the unit is the huge master bedroom ensuite. Through the bedroom sliding door, there is access to the shaded, cool, extended balcony with a view of the pool. The balcony extends round to the family room where there is a second set of sliding doors. Zoned for Short Term Rental. Call for viewing appointment today.